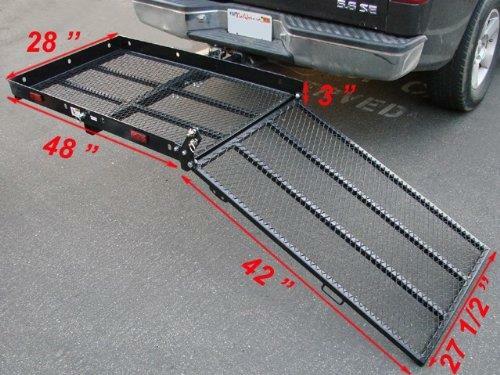 PLATFORM 32" WIDE X 50" LONG ; LOAD CAPACITY 350 LBS. ; WT. 175 LBS. 48" RAMP SLIDES UNDER PLATFORM FOR TRANSPORT. * Please call us for any questions on our platform load haul rentals in Cincinnati Ohio.